[prMac.com] Luxembourg - Houdah Software is proud to announce the addition of a German localization to the recently released HoudahSpot 4.0. HoudahSpot is a powerful file search tool. It builds upon Spotlight and makes it both more powerful and easier to use. HoudahSpot 4.0.4 is now availble in both English and German localized versions. HoudahSpot quickly gets you to your files without getting in the way. 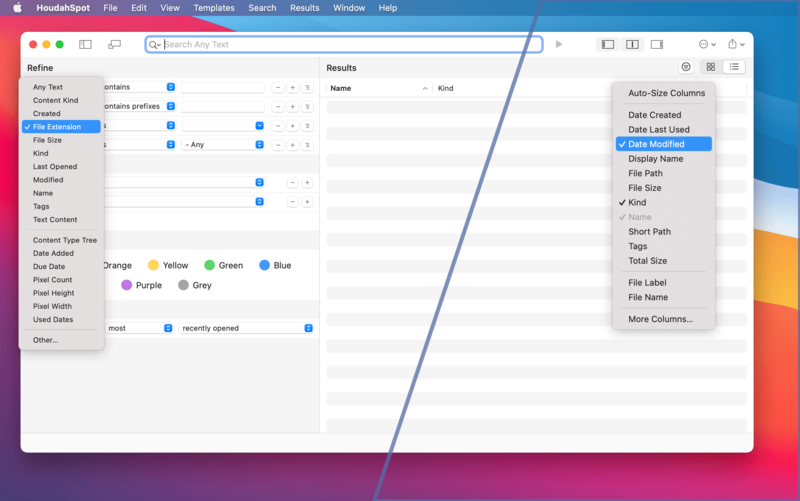 HoudahSpot looks and works the way you expect a file search tool to work: Fill in search criteria. Specify the folders you want to search. Refine by adding and combining criteria. Add columns to better sort and explore search results. Apply filters. Preview files and text matches. HoudahSpot is highly customizable. Set up the search criteria, locations, sort order, result display options, etc. and save these settings as defaults for new searches. Save specialized searches as templates for reuse. If you've ever had a hard time finding a file before, this is what you've been looking for. * Find files by name, text, content kind, author, recipient, pixel count, etc. HoudahSpot 4.0 is priced at $29 (USD) for a single-user license. A family license is available for $44. A full-featured trial version is available. Licenses may be purchased from the Houdah Software store. Upgrades from previous versions are priced $17 and $26 respectively. HoudahSpot licenses purchased on or after November 1, 2014 qualify for a free upgrade. Founded in 2005 by Pierre Bernard, Houdah Software is a small company based in Luxembourg, Europe. Houdah Software specializes in quality software for Mac, iPhone and Apple iPad. Our mission is to pair quality products with excellent customer support. Copyright 2005-2015 Houdah Software s.� r.l. All Rights Reserved. Apple, the Apple logo, Macintosh, Mac, Spotlight, iPhone, iPod and iPad are registered trademarks of Apple Inc. in the U.S. and/or other countries.